Ananthi was very encouraged about our new prayer group, but her statement made me think, “What would happen if more people consistently prayed for the Good Samaritan School?” Remembering that India is #15 on the list of countries in which Christians are most persecuted, I was reminded of the importance of consistently praying for the school, the teachers and staff, the children, and Ananthi. Each month I look forward to gathering with others in my Lexington, KY home to intercede on behalf of the work of the Good Samaritan School. I keep a list of prayer requests on my bedside table to remind me to pray each night for the work being done in India. *Praise God for the amazing work He has done and continues to do through the school. *Ask that God would help the students excel in their studies. *Request that God would fill the teachers and staff with wisdom and insight as they teach. 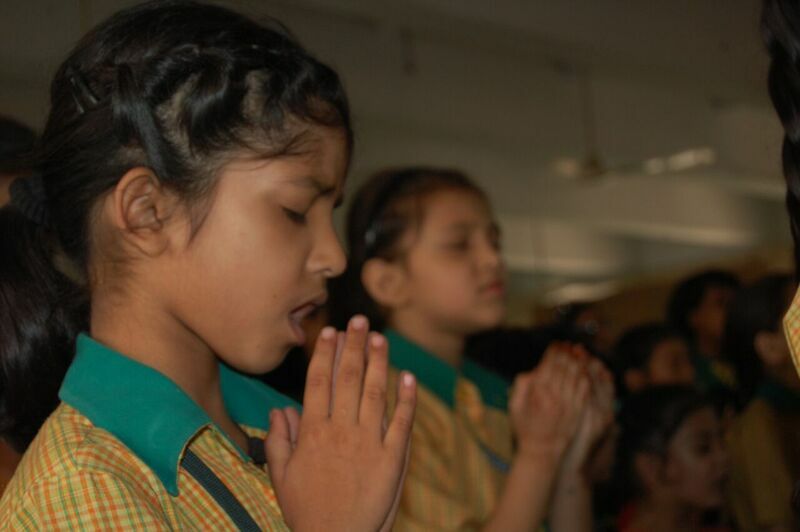 *Pray for protection from accidents, disease and harm for the students, their families, and the teachers/staff. *Request that God continue to make financial provision for the school. *Ask that each month there will be an increase in the number of children sponsored. If you are interested in learning more about the prayer group in Lexington, please contact Leslie at LLittrell@fotgs.com. Friends of The Good Samaritans, Inc.